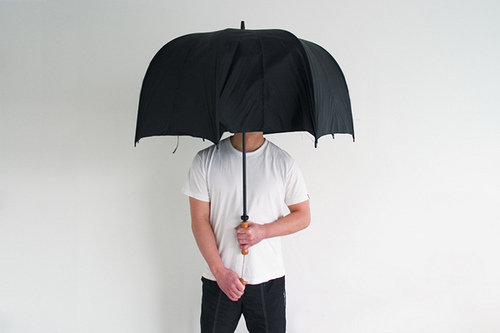 JooYoun Paek’s polite umbrella | Abler. JooYoun Paek’s Polite Umbrella (see video!). Previous post ← Can prosthetics be an unfair advantage? Paek’s urban work is great. Can anything be done with public cell phone use? How about a mobile sound room. Or a talking straw? There’s a sense in which texting has largely solved this problem, though isn’t there a unique rudeness of having one’s head down while typing? Do we need a texting chin rest?